Batteries are part of our daily routines and we don’t even realize how much we are used with getting unlimited power supplies. However, when not recycled or disposed correctly they become extremely dangerous for the environment and us. The hazardous materials they contain (like acid, mercury, and cadmium) can get into the water, land and air. Therefore, when we treat this matter with responsibility, the metals can be recovered and reused once again. Recycling is an important part of keeping our environment safe. It decreases both the need for new materials and the environmental harm that comes from improperly disposed materials. When batteries end up in landfills, they corrode and chemicals leach into the soil. There is also risk of fires. Lithium batteries can ignite landfill fires that burn underground for years, releasing harmful chemicals into the air. Recycling your batteries is an easy way to make sure these chemicals don’t end up in landfills in the first place. Recycling batteries keeps potentially dangerous materials out of landfills. Also, economically, recycling saves earth resources and money, since recovered plastic, metals, etc. can be used to make new batteries. Another good reason to recycle dead batteries is that we’re able to reduce the need to collect new raw materials and conserve resources. You are probably tired of looking at those old batteries taking up valuable space in your garage. One more reason to think twice about tossing your old batteries in the dumpster: they could be worth some cash! 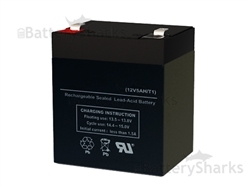 Usually, people assume that their batteries are worthless once they stop working. But in many cases, the materials inside the battery still have value. Most recycling centers will recycle the batteries at no cost to you, and in some cases, you can receive cashback for the disposed material. How much you can get for your spent batteries will depend on the type of battery you recycle and current market pricing. Keep in mind that it is illegal to dispose of batteries in the trash. 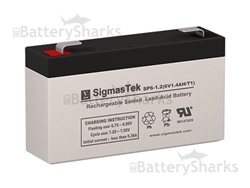 Batteries contain corrosive materials and heavy metals that contaminate the environment. 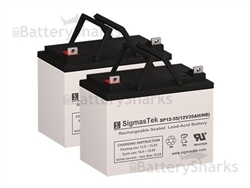 Federal and state laws have certain requirements when it comes to battery recycling. Certain chemistries including lead acid batteries, lithium-based batteries in high volumes and nickel cadmium batteries must be recycled. Some states also have their own recycling regulations. For example, in California, all batteries that are intended for disposal must be recycled or taken to a hazardous waste disposal facility. Failure to comply with federal or state laws can result in hefty fines.